MMany older San Diego homes still have galvanized iron water systems. As rust and zinc begin to clog pipes and fixtures, water pressure is reduced, and undesirable impurities are added to the water. Replacing galvanized iron systems with copper plumbing will restore water pressure delivered throughout the house, and improve the taste and quality of water as well. Installing copper plumbing often increases the value of the home. Copper pipes are safer than galvanized pipes because they do not contain lead. And, they are biostatic, which means that copper inhibits bacterial growth. Therefore the water is safer to drink. In addition, the insides of pipe do not have as much mineral buildup as galvanized pipes. Copper pipes will withstand earthquakes better than other pipes. Copper plumbing is preferred by homeowners and people in the market to buy a home. George Davis Plumbing can install all copper water pipes in your home or business. A typical re-piping project will include angle stops, supply lines, water pressure regulator, recessed ice maker valve box, recessed laundry water valve box, and drywall, texture, and paint repair. 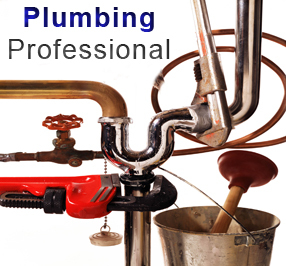 Typical residential plumbing repipe projects range in price from $6,000- $7,700. This investment generally adds to the resale value of your home. And you will have improved the quality of water coming from the tap. George Davis Plumbing has created a quality control system which ensures that this will be the last repiping you will have to do in this home. Call George Davis Plumbing 858-366-8152 for a free estimate on replacing your old galvanized steel plumbing with copper.